Though honey is not a vegan food by definition, vegans can still enjoy the taste of it with products like Bee-free Honee and Heeni Dandelion “Honey.” But what if you can’t get those locally and, for whatever reason, buying online isn’t a good option for you? Here’s my answer! Make it yourself. 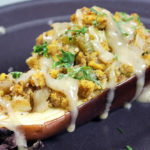 This recipe came about because there was a new honey alternative on the market with awesome reviews but it wasn’t available in Canada yet! I had stopped adding sweetener to my coffee and tea because I honestly didn’t like anything other than honey in those drinks and honey was out of the question for me. Instead of hot lemon honey water, I had just hot lemon water. I was OK with it but if I could have something that tasted like honey but was vegan, I wanted it! 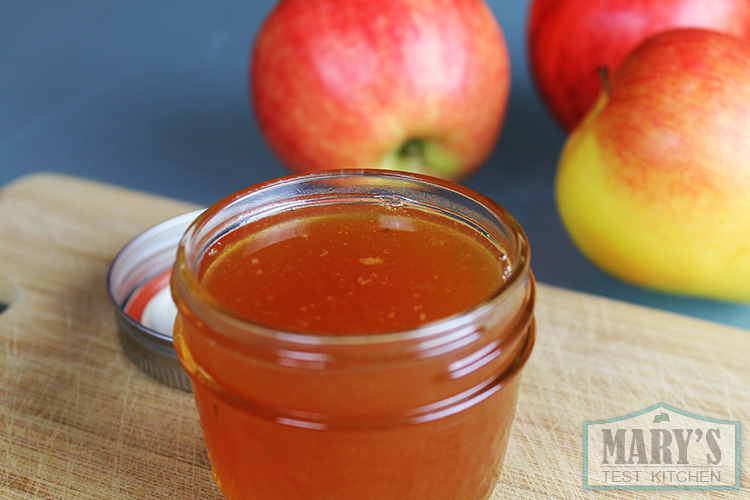 One day, I realized I had a bunch of apples to use up and I thought it was the perfect opportunity to give my own homemade “honey” a try. 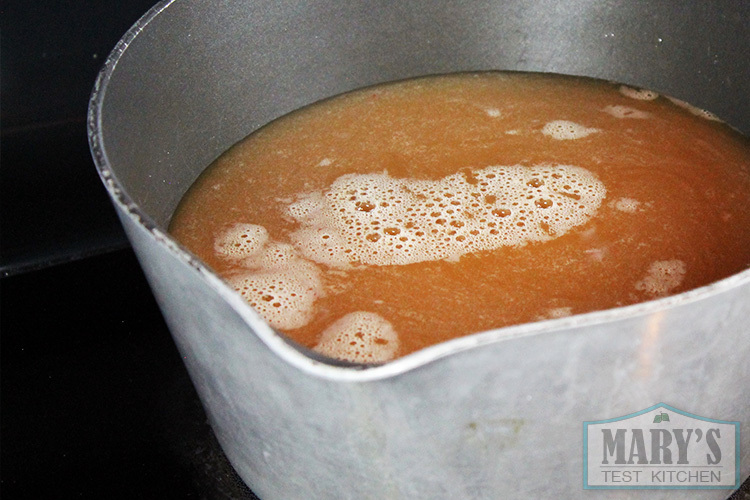 That single session created this homemade bee-free honey recipe. Since then, I had been meaning to film a video to show how easy it was. It only took a whole year for me to get around to it! 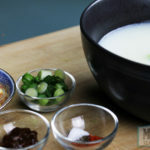 For the full printable recipe and story about why I stopped consuming honey, please click here. 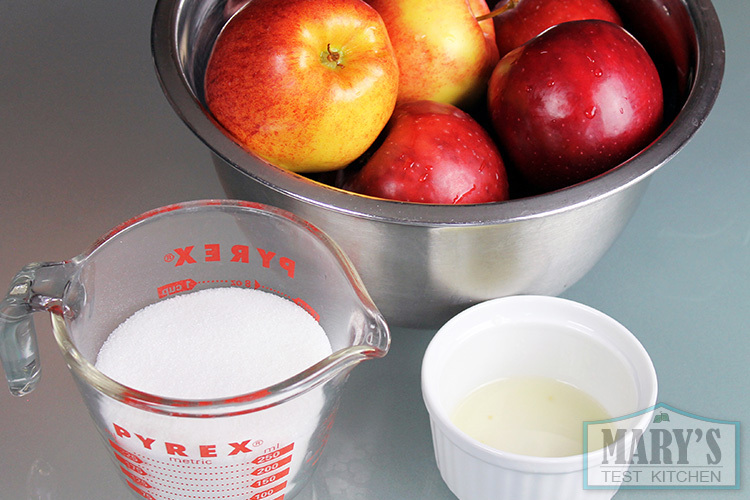 Start with apples, some water, sugar and lemon juice. 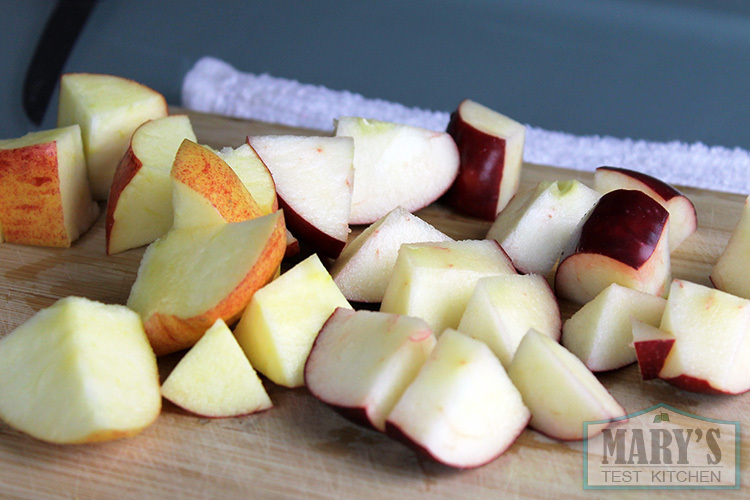 Cut up 8 washed apples, removing the stems and seeds. Don’t bother peeling the apples. 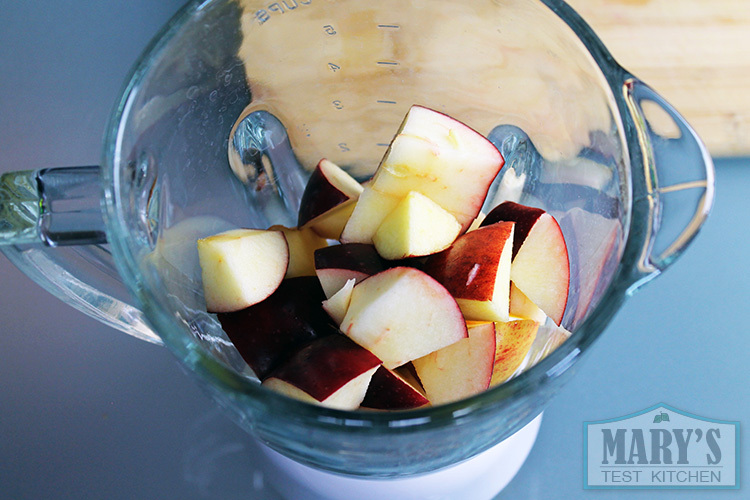 Blend the apples with the least amount of water that you can get away with until it is pureed. You don’t need it to be too smooth. 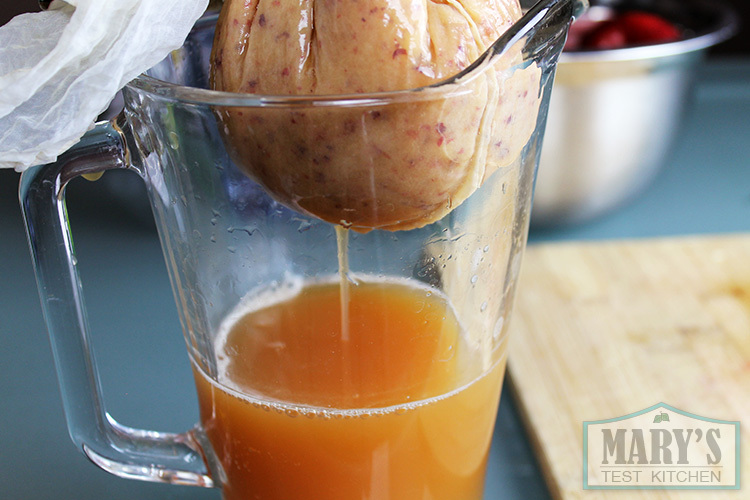 Use something to separate the juice from the pulp. I used a nut milk bag. Don’t sqeeze the pulp too dry though. You should end up with 2 cups of juice. Cook the juice down to one cup’s worth. And, tada! Vegan honey! Actually, it tastes a lot like honey with that cloying sweet flavour but also has a touch of apple flavour as well. I hope you enjoy the video and maybe try it out sometime! What a cool idea! I had no idea that honey replacements existed. Even if they were available in Canada, I would still rather make it myself. I’m bookmarking this to try later.